WELCOME TO AR WORKSHOP Greenville! 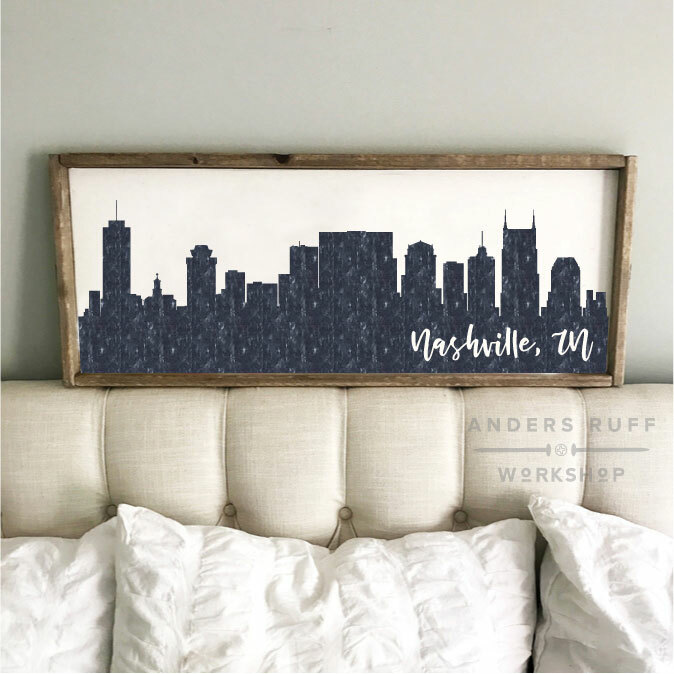 AR Workshop® is a boutique DIY studio that offers hands-on classes for creating custom, charming home decor from raw materials. 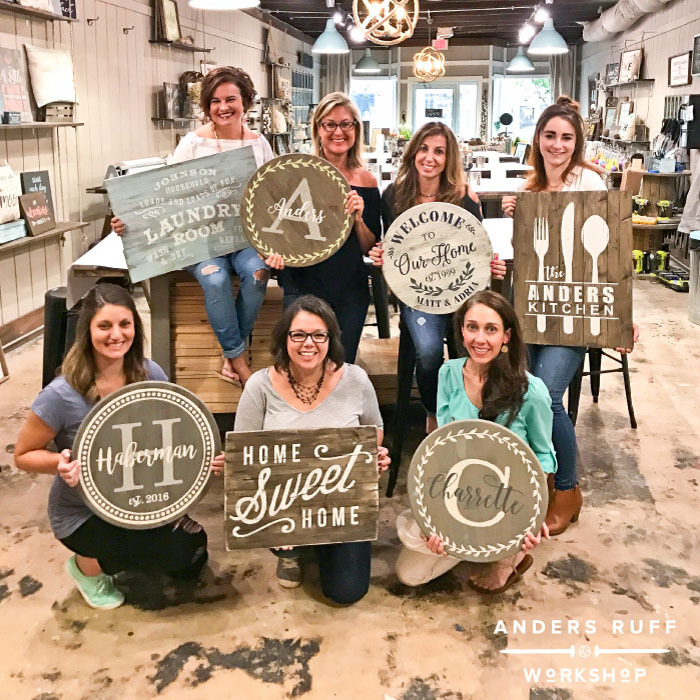 Join an instructor-led workshop where you can make custom wood plank signs, framed signs, canvas pillows, round signs, lazy susans, centerpiece boxes, canvas tote bags, and more! AR Workshop Greenville is owned by Carin Burns, who settled into Greenville, South Carolina after graduating from Clemson with a business degree. She proceeded directly into a fast paced sales career with The Greenville News and later with a global software company. She married one of the greatest guys on the planet (Jamie works in real estate) and they started a family. For seventeen years, Carin stayed at home to raise their three girls. Their family has spent much of their time traveling the East Coast for their girls’ sports endeavors. As their girls became more independent, Carin realized she wanted to do something more. She and Jamie began making unique woodcrafts; signs, picture frames, furniture, and doing home improvement projects. Carin’s creativity and her love for decorating, and Jamie’s skill at woodworking soon became a small home business. 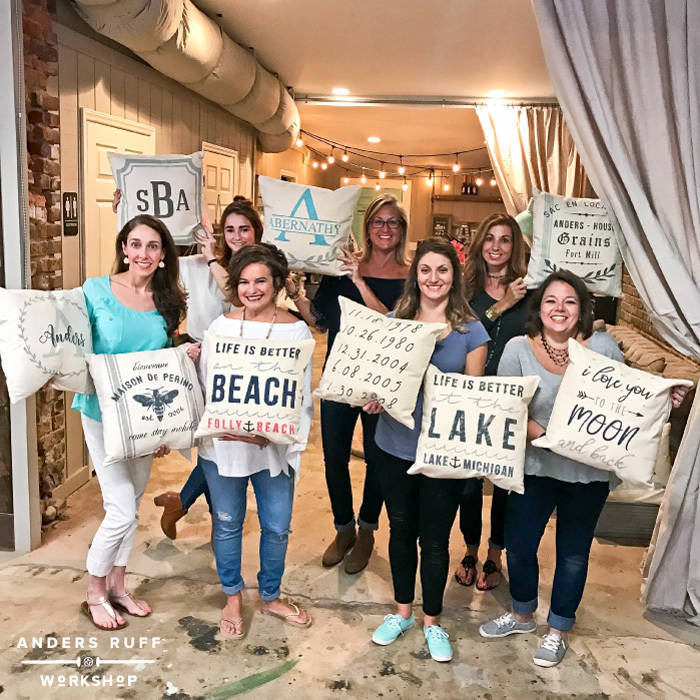 When she read about Anders Ruff Workshop, she jumped at the chance to expand on what she already knew and loved to help others with. Carin and Jamie are so excited to bring AR Workshop to Greenville, one of the fastest growing cities in the U.S.! $10 OFF Tuesday Framed Workshop! From Sunday through Wednesday, our private party minimum is 18 people and a 24 person minimum Thursday pm / Friday pm /Saturday pm. Can’t meet our minimum? Ask about book a table for your friends at a regular scheduled workshop or just register for any workshop and include your friends names so we can seat you together! AR Workshop Greenville is BYOB. You may bring in small snacks or appetizers to enjoy.